"3rd St" is a solo exhibition by Eloise Dörr, showing a selection of paintings directly and indirectly inspired by a trip to San Francisco in 2013. 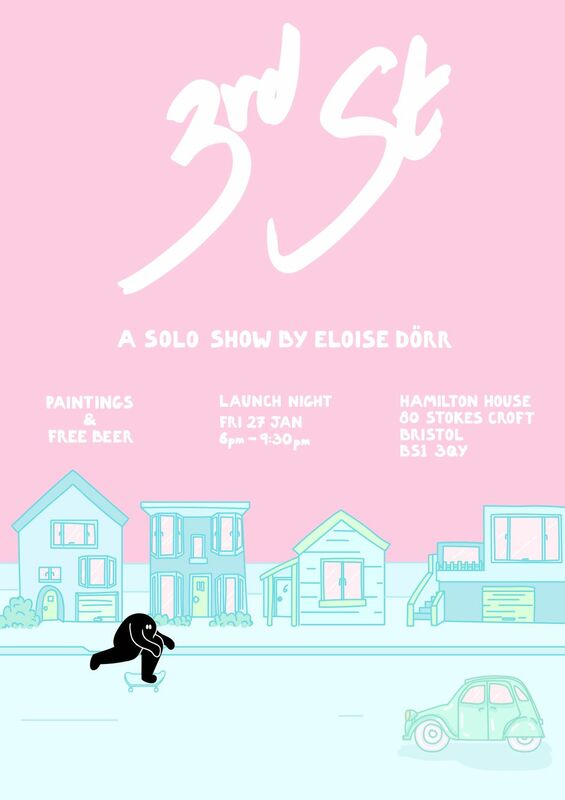 "3rd St" is a solo exhibition by Eloise Dörr, exhibiting paintings she has completed throughout the year inspired by her trip to San Francisco in 2013. Eloise's work consists of small silhouette characters skateboarding and falling over in various colourful environments. The idea behind this is to create a microcosm of pure innocence. A selection of the paintings in the show are directly referenced to skateboarding and the architecture in San Francisco, while others are simply inspired by the weather and other light hearted aspects of the area.